Pixar storyboard artist, Emma Coats, once tweeted 22 rules that Pixar movies always try to follow. With the release of Finding Dory 13 years after Finding Nemo, the rules still apply and are helpful to any writer struggling with building a story from the ground up. Following these seven rules in particular will guide your relatable protagonist though a clear story and in turn, help you write a great script. The protagonist in Finding Dory is of course, Dory, the adorable blue tang fish who suffers from short-term memory loss. This is Dory’s main character flaw but also the key to her character’s growth. Even though forgetful Dory struggles to remember what’s happening from moment to moment, she constantly displays her good intentions and positive attitude. The fact that we see these qualities rebound over and over makes Dory even more admirable because she doesn’t give up. 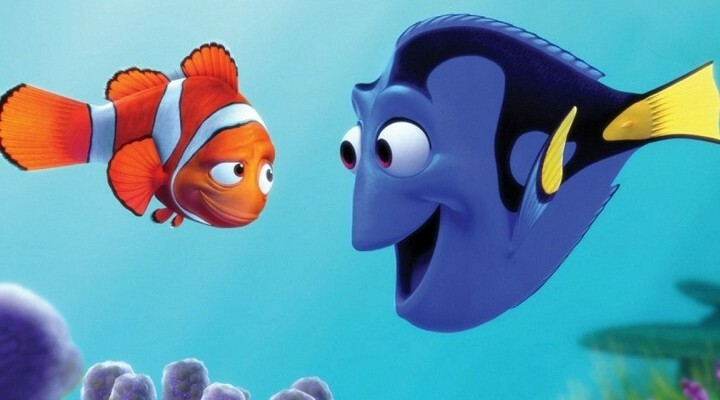 As an audience, we are delighted to see how this mental flaw ends up helping Dory. It allows her to literally forget her hardships and continue to refocus on finding her family. Give your character a flaw that doesn’t allow him or her to succeed in every situation. You’ll add more heft and heart to your script, and the audience will be more invested in the story. Say what? Not in sequence, but in priority. If you don’t have Act 3 figured out, you’ll never get through Act 2 — which is undoubtedly the most difficult act to complete. If you don’t have a hint about your ending ahead of time, writing becomes impossible. In the first act (Spoiler Alert! ), Dory sets out to find her parents. Because this is a children’s film, it’s clear that Dory will need to be reunited with her parents in the third act and give the film a happy ending. The story is the journey of how she gets there. 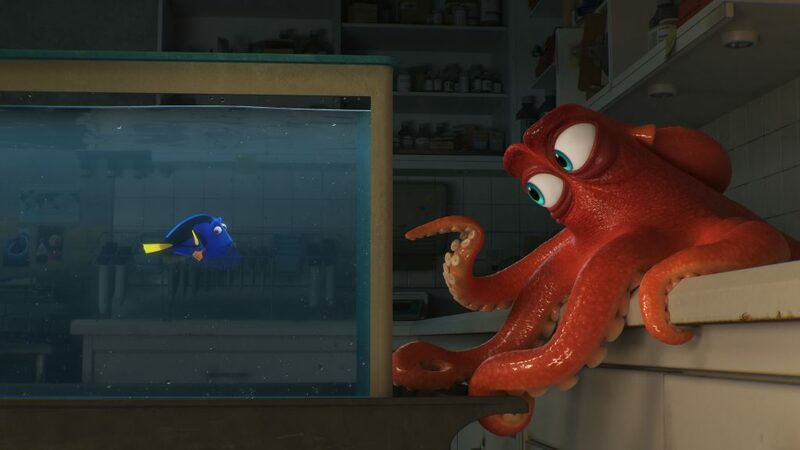 If the writers (Andrew Stanton, Victoria Strouse and Bob Peterson) hadn’t stopped to consider Dory’s reunion with her parents, they would have spent months if not years in the Act 2 weeds. Set aside some time to figure out your ending — even if it’s just an image or one line of dialog. As long as you have direction, you won’t get lost at sea. No. 3 — Make lists. Of jokes, and scenes and dialog. Just let your mind go and brainstorm the possibilities, and then get rid of the first few that come to mind. The list of 22 suggests crossing out the 1st, 2nd, 3rd, 4th and 5th ideas. Use the more creative ones that come when you push yourself to keep going. Let’s imagine how Pixar writers must have done this for Dory, who must travel on land several times throughout the film. How can Dory get around? In a fish tank, in a cup, or maybe even a bowl? Those just wouldn’t be as interesting to audiences as what Pixar came up with. So how did they get there? Crossing off the obvious. As a result, we see Dory in many different types of water-filled containers — a travel-style water bottle and even a coffee pot. Hoping from geyser to geyser in a public fountain was my favorite! No. 4 — Use your feelings as a guide for your character’s. Does your character’s emotional state feel authentic to you? If not, think about how you would feel in the same situation. It’s bit difficult to imagine what it would be like to be a forgetful fish, but we can all relate to feeling disconnected from the ones we love at some point in our lives. The need to belong is a universal one and a powerful motivator – for both good and bad. If you can’t connect to your protagonist in a universal way, it’s time to re-think the building blocks of character and come up with something that touches you in an emotional way. No. 5 — Measure the stakes. And we’re not talking filet mignon. We want to know what’s at stake for your character? Give us a reason to root for him or her. What happens if he or she doesn’t succeed? For most of us, reuniting with one’s family is a high-stakes problem. But for Dory, it’s likely she’ll forget about her parents and her problem, lessening the stakes. 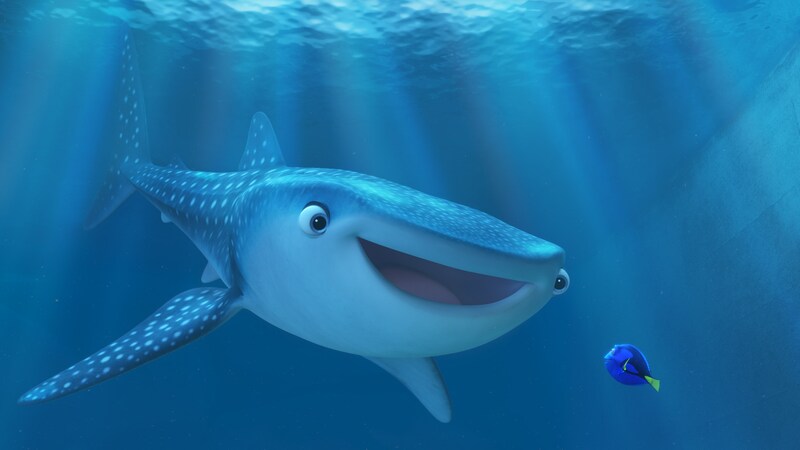 The writers give Dory friends like Nemo and Marlin to keep her on track, but Dory’s memory problem undercuts the stakes a bit in this Pixar film. This is a situation where the writers had to “make it work” since the character’s memory problem was well-established in the first film. Find a way to make what’s at stake for your character his or her whole world, and the audience will be rooting for your protagonist to the end. No. 6 — Don’t use a coincidence to solve your story problem. Coincidences that get characters into trouble are great; coincidences to get them out of it are cheating. Dory coincidentally has dreams and talks in her sleep that help her fish friends put together the clues of where her family might be. But it is only through her hard work and befriending others that she manages to find her way back to her loved ones. Use whatever you need to get the story rolling, but only your strong-willed protagonist can solve her own problem. No. 7 — Value all your work, even if it gets cut. If it’s not working, let go and move on – it’ll come back around to be useful later if you need it. Don’t get hung up on feeling like you wasted your time with a scene. This might cloud your judgement when it comes time to cut. Think of every minute writing — even if you’re just staring at a blank page — as valuable. Sometimes the creative process is a long and winding road, but it is the only path. In the original script for Finding Dory, many of the marine animals, including Bailey, the beluga whale, remained in captivity. The 2013 documentary film Blackfish focused on marine animals in captivity, so Pixar decided they should change the ending of Finding Dory to include a wildlife release. Though the original ending was lost, the writers were able to use the original work as a launching pad, making it easier to revise. Writing and cutting is all part of the creative process. Finding Dory opens June 17. Let us know if you picked up any Pixar story hacks and how they might help others when churning out great scripts. Does 'Writer's Block' Really Exist? 16 Replies to "How to Use These 7 Pixar Story Hacks On Your Screenplay"
These are not “hacks”. They are tips or guidelines. We’re writers. We should use words sensibly. “Hacks” is just slang for tips and guidelines. It is meant to be a funny word. My friend, the word “Hack” is used as a “Trigger” word. Generally when copywriters write headlines, they write these kinds of things to promote an emotional, or intellectual response. The reason, simply to get you to begin to read the article. If you read all the way through the article, then you did exactly what the writer wanted you to do. If you feel you benefited from it, then you got something for simply spending the time to read it, and it’s mutually beneficial to both you and the writer. If you commented, shared, or anything else on the article, it means that the copywriter not only did a good job, but his/her news goes out to lots of others who may benefit as well. But it all starts with the “Trigger Words”. I want to script my story but do not know how to write day and night under the ocean. Can you give me a short example on how I script this please. It really doesnt matter productionwise the sea will look the same, it’s only a reference of the passage of time in the script. If you need the audience to know it is night then you need a stablishing shot, perhaps of the moon reflecting on the water. Keep those creative so audience dont get tired of the same image. Perhaps use those as comic relief like the side story of the squirrell in ice age. I could not email my illustration as I did not know the email to send it to. Succinct and to the point without beating us over the head to follow our humanity in storytelling. Thank you for a great article! Thanks Hal for that great analysis. It allowed me to examine my current screenplay and to use it in my next. this is excellent. very helpful. thanks! i shared it. I personally enjoy inside advice. Sometimes my dyslexic mind has a hard time learning from straight instruction, and the articles set written many times skip all the extra detail and get to the point. Learning from an already written story with great “Lead on” structure, is that one thing that’s like a “V-8” moment for some. hacking into a jungle is cutting away impediments. Hacking through lines of computer code to get to the relevant lines was shortened to a hack, or a shortcut to solve the issue. I don’t think hacks is used properly to indicate tips and techniques – the items listed are important to structure, not a measure to solve a distinct problem. ALSO number One, Characters are more interesting when they are capable and get the job done despite disabilities or shortcomings.